Worth it? Yes! All the shades are wearable and has lots of versatile uses. 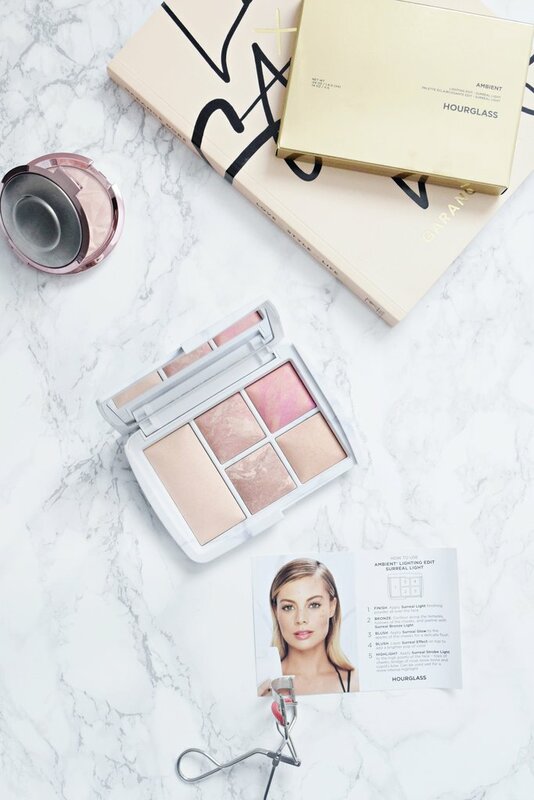 The palette is perfect for a natural everyday face. I don't own any Hourglass product so I thought this was a great way to start. 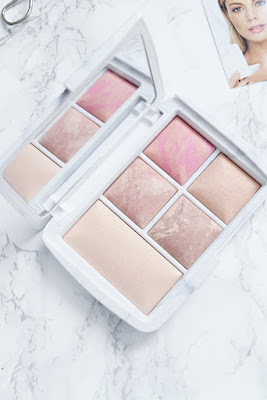 I've been wanting to try Hourglass products for a while and this was perfect to sample a variety of their powders. 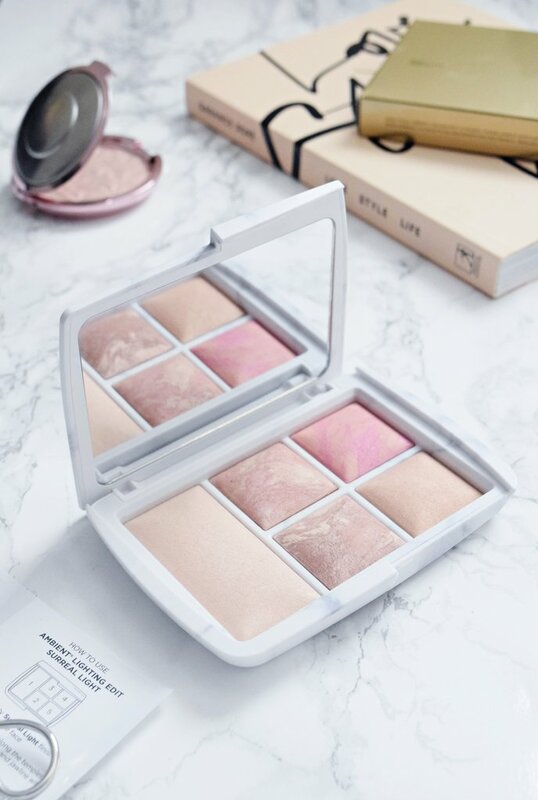 It contains two blushes, one bronzer, one highlighter and one finishing powder and it provides the most beautiful and naturally radiant finish. The ambient lighting powder takes the most amount of space and is my favourite thing in the palette. 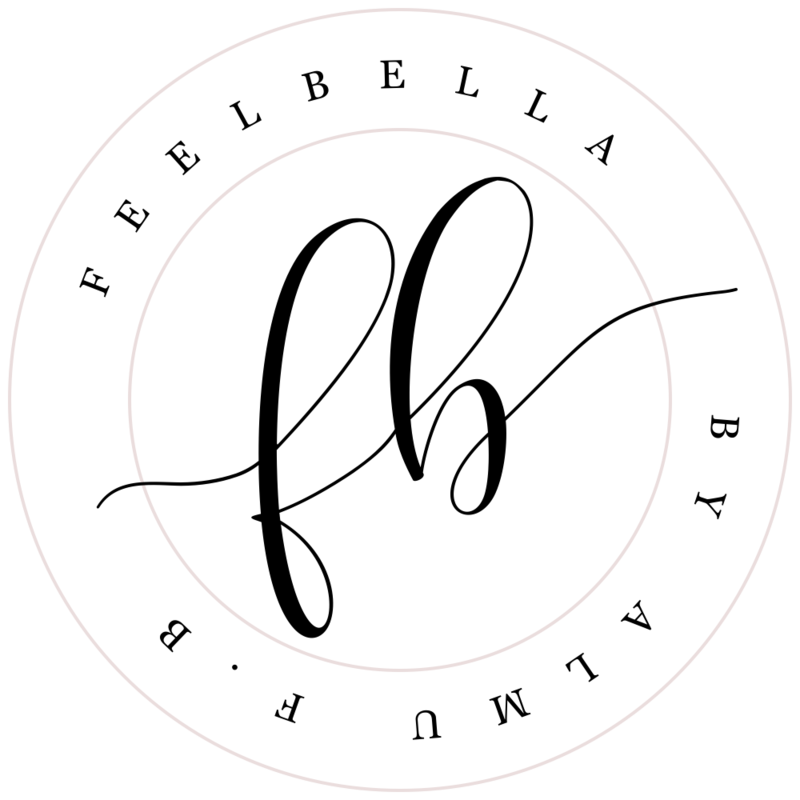 It leaves a really pretty glow and make your skin look flawless. Love it! 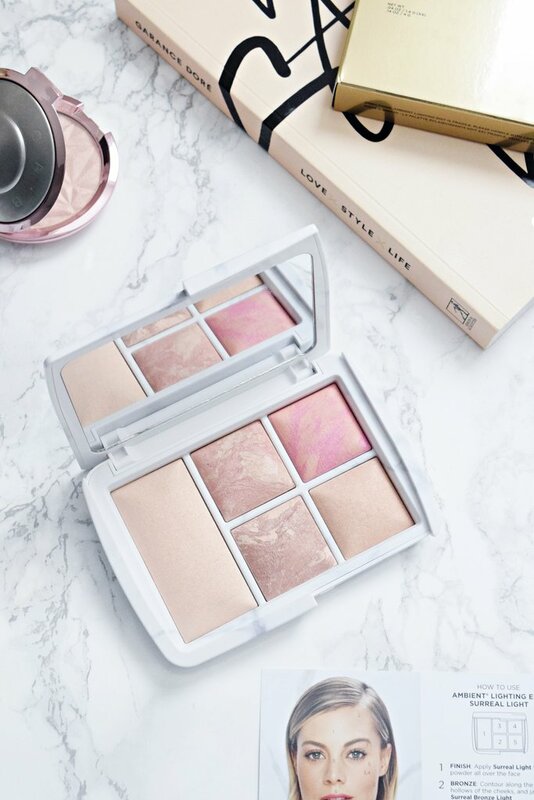 The ambient lighting blushes are such gorgeous and wearable shades. Surreal Glow is a mauve shade and Surreal Effect is a bright pink colour. Both shades are beautiful and have a satin finish. The blushes aren't too pigmented but show up as a nice flush of colour on the cheeks. 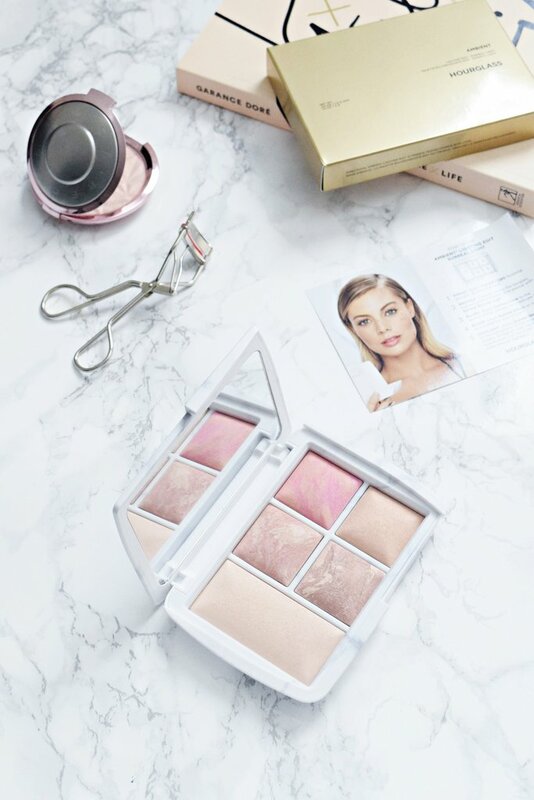 The ambient lighting bronzer is quite light so will suit fair skin best. It's very subtle, easy to blend so it looks super natural on the skin. So smooth and and creamy and I love the healthy glow it gives. 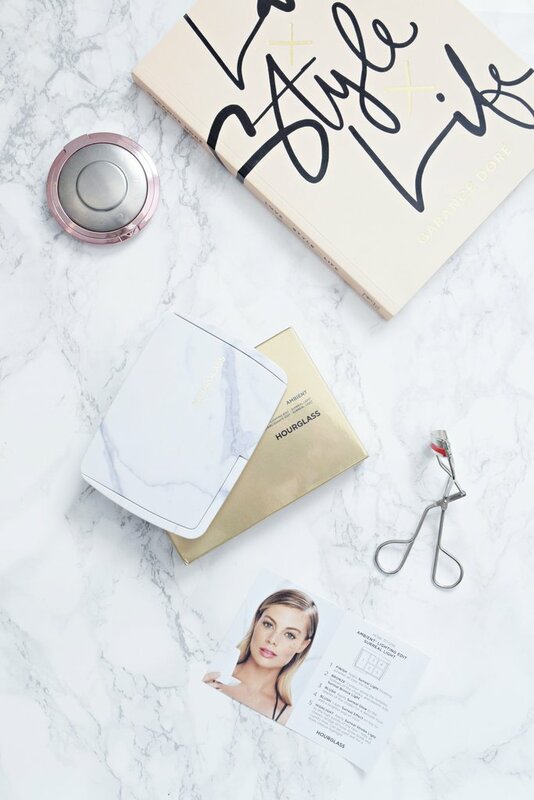 The ambient strobe lighting powder is a golden peach highlighter. This is the only shade of the palette with more visible shimmer. And for me the least favourite in the palette, the shade is too warm and gold for my skin tone. The palette is such a delight. All the shades are beautiful and wearable and the size isn't too big which makes it travel-friendly too. A good quality product but this would work better for those with fair skin. Anyone with light to medium skin tones I think would love this palette. Will you be getting this one?